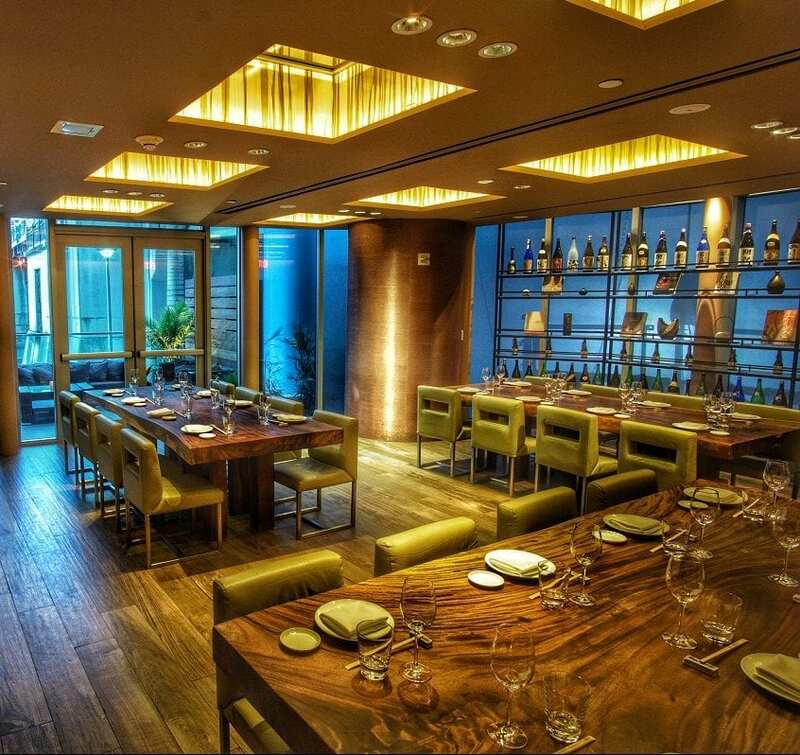 Zuma Miami offers two unique spaces for your event. With a capacity of 34, our beautiful private dining room is the perfect location to host a corporate or social luncheon, brunch, reception, or dinner. The private dining room has its own private terrace with breathtaking views of the Miami river. We offer standing cocktail receptions with lounge seating, open bar packages, and passed canapés for up to 250 guests using our full waterfront terrace. Our beautiful newly remodeled private dining room is the perfect location to host a corporate or social luncheon, brunch, reception, or dinner. The private room has its own private terrace with breathtaking views of the Miami River. Our covered waterfront terrace can host private or semi-private events up to 65 guests for a seated dinner, or half terrace for up to 34 guests. Enjoy an unforgettable cocktail reception, with passed hor d'oeuvres, izakya stations, and Japanese signature cocktails for up to 120 guests.